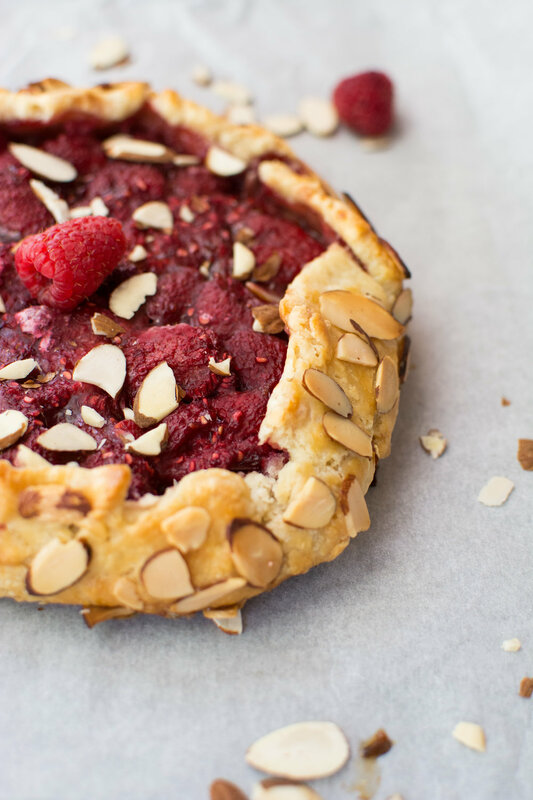 Grab some berries at your farmer's market this week because it's time for some fresh fruit pie! Well, our big move is now complete! There are boxes everywhere but unpacking is so much better than packing. I'm really looking forward to settling in and being able to devote more time to recipe development and photography. Yay! My kitchen is far too clean right now! This galette was the last thing I made in the old kitchen. I think it was the perfect dessert to go out on. It starts with a simple, no fuss buttery crust - the same one used in my savory galette but without the fennel. Don't forget, galettes are not "easy as pie" to make - they are WAY easier than pie to make (see what I did there?). After you make the crust, you will let it sit in the fridge then roll it out into a circle. Perfection is not necessary! 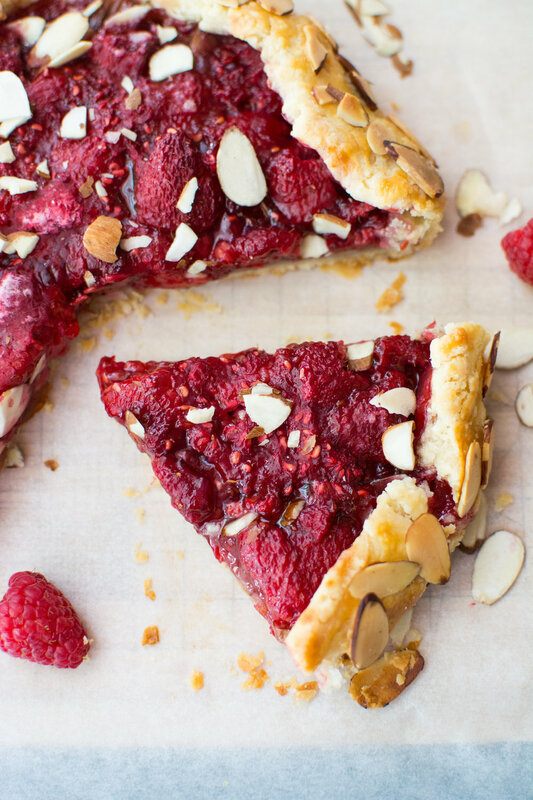 You will grab those delicious raspberries you picked up and toss them with some sugar, cornstarch, a touch of almond extract and raspberry jam. Now place some sliced almonds on the pie dough before putting on that delicious filling. I do this so there is a barrier between the crust and the juicy fruit - we don't want those soggy bottoms! Fold the sides of the crust over the filling and bake! Enjoy solo or with some ice cream!